Our Business Services Team is ready to work in partnership with your organization to manage your talent. Your workforce is your biggest asset and the array of services we can provide, at little to no cost to you, ensures you are recruiting, screening, assessing and training your employees effectively. Whether you are a new employer to North Carolina, or a well-established business with deep roots, our staff will work closely with you, get to know your unique business scenario so that we can make recommendations and help you create a plan for moving forward. Business Resource Room –Space for interviewing/conferences/job fairs/workshops or training. Recruitment and Screening Assistance –While much of this can be done online, businesses can also obtain assistance with posting job listings, automated job matching, applicant recruitment, screening and referral. Human Resource Information– Information on the Work Opportunity Tax Credit, unemployment insurance, labor law and compliance information. 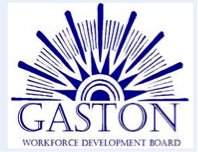 Technical Assistance on Employment Issues– Licensing requirements, bonding, and labor certification. Rapid Response Services– Assistance with downsizings and/or closing. Education and Training Brokering– Staff help businesses identify and connect with appropriate education and training sources to assist with your workforce development needs. Consumer reports on effectiveness of specific providers are also available for employers.